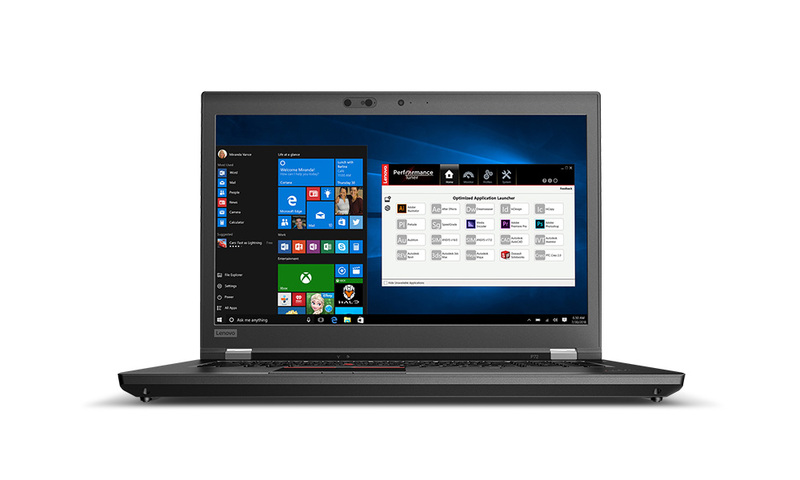 Apart from introducing their thinnest mobile workstation ThinkPad yet, Lenovo updated their most powerful ThinkPad laptop today as well. The new ThinkPad P72 ditches the DVD drive and opts for a thinner chassis, while also offering far more powerful GPU options than any other ThinkPad, up to the Nvidia Quadro P5200. Slim laptops are all the rage these days – so much so that Lenovo just announced the ThinkPad P1, a powerful mobile workstation with the chassis of an UltraBook. But some people don't care much for ultimate thinness, because they have special requirements, like a huge amount of storage or even more performance. Thats why the big three of the PC business – Dell, HP & Lenovo – still offer thicker mobile workstations in traditional laptop form-factors: HP and Dell with the HP ZBook 15/17 and Dell Precision 7000 laptops, Lenovo with the ThinkPad P5x & P7x. Lenovo already updated its traditional 15.6-inch mobile workstation model, the ThinkPad P52, two months ago. Today, Lenovo follows this smaller model up with the ThinkPad P72, a larger 17.3-inch workstation – unsurprisingly, the most powerful ThinkPad laptop to date. 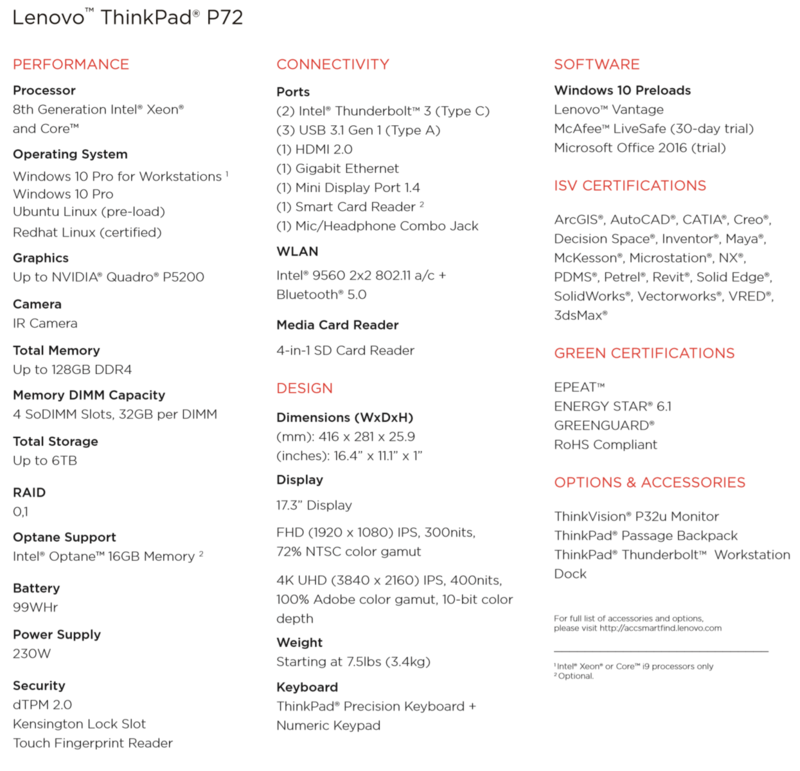 Different from the ThinkPad P52, the ThinkPad P72 is a complete redesign, despite looking very much like its predecessor, the ThinkPad P71. Notably, Lenovo ditches the DVD drive and opts for a thinner chassis instead. 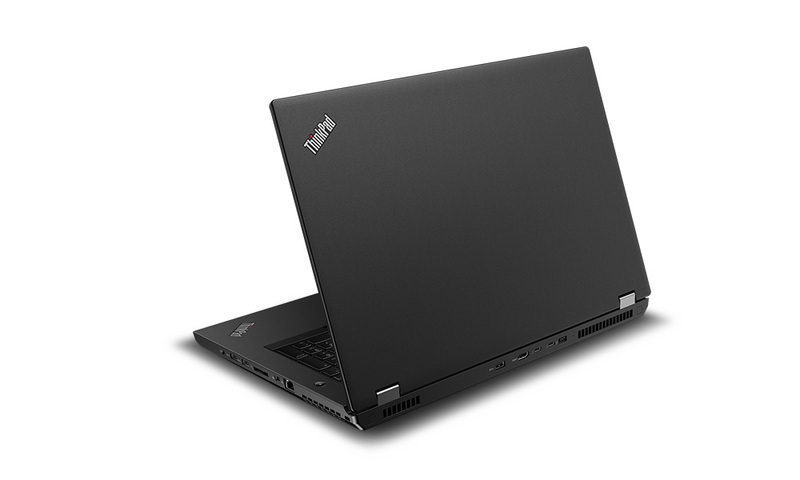 The ThinkPad P72 measures 25.9 to 31 mm thick, compared with 29.9 to 34.2 mm for the P71. The DVD drive is not the only feature that is axed – the ThinkPad P72 also drops the mechanical proprietary bottom docking port, instead opting for the same Thunderbolt 3 based dock that was announced alongside the smaller ThinkPad P52. There are internal changes as well. 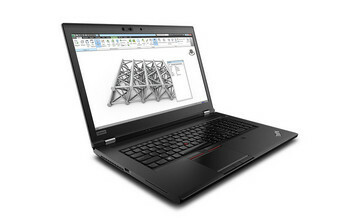 Of course, the Lenovo ThinkPad P72 is based on the newer Coffee-Lake high-performance platform, offering the newest hexa core chips with Core and Xeon options. As for the GPUs, the P72 will be offered with various options, including the Nvidia Quadro P600, P2000, P3200, P4200 and the Nvidia Quadro P5200. The P5200 is based on the most powerful GeForce-GPU, the Nvidia GeForce GTX 1080. 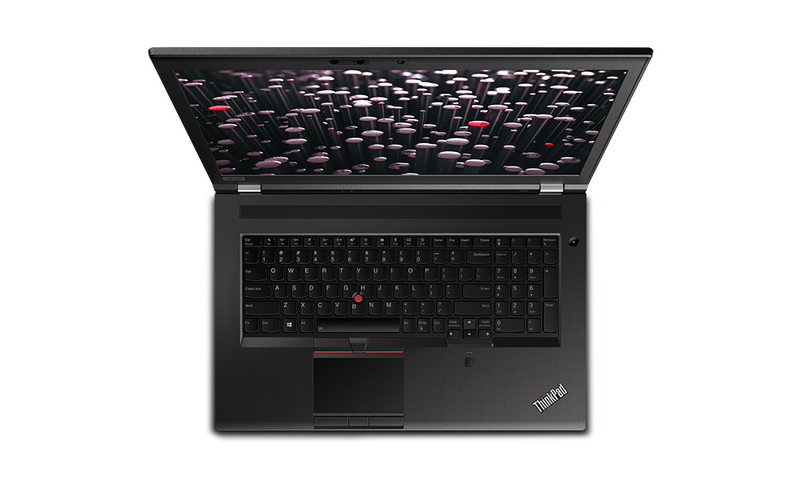 Additionally, the ThinkPad P72 will offer up to 128 GB of RAM, double the amount that its predecessor offered. Last but not least, Lenovo updated the more expensive display option, the matte non-touch 4K display will now offer a brightness of up to 400 cd/m² (up from 300 cd/m²) as well as 100 % NTSC color-gamut and 10-bit color depth. The Lenovo ThinkPad P72 will be available at the end of August, starting at 1,799 US-dollars.